The apartment is located inside the farm "Podere Nigriano" which extends for 7.5 hectares between olive and cherry trees, where it is also the manor house of the late 800 with its Italian garden. 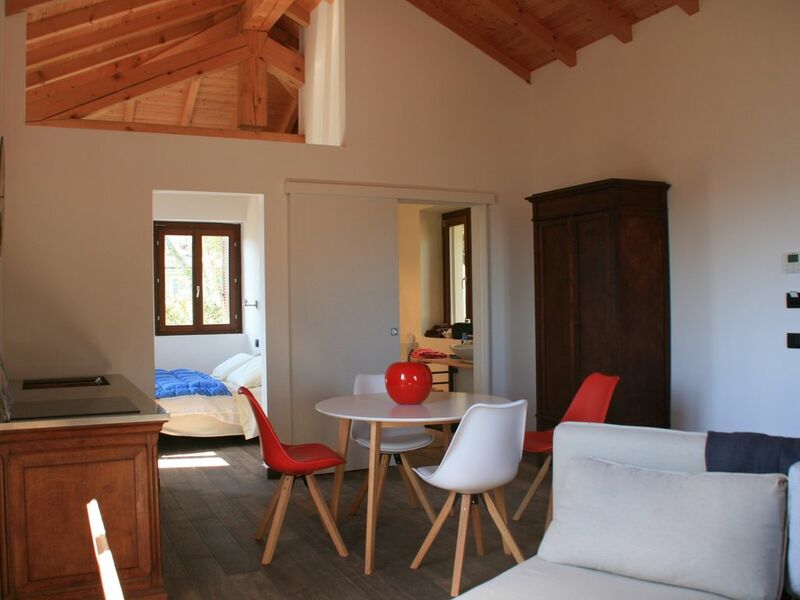 The accommodation housed in the historic farm buildings has recently been tastefully renovated and offers a spectacular view of the Gulf of Salò. The farm Podere Nigriano offers its guests the opportunity to spend a holiday surrounded by greenery just steps from the center of Salò. The farm is conducted in a biological way. The buildings, thanks to the wide use of natural materials, have allowed us to reduce the environmental impact to a minimum.